US Cultural Exchange Trip – one day to go! With a day to go until I fly out to Eugene, Oregon in the US it has been a busy week preparing myself for the trip. 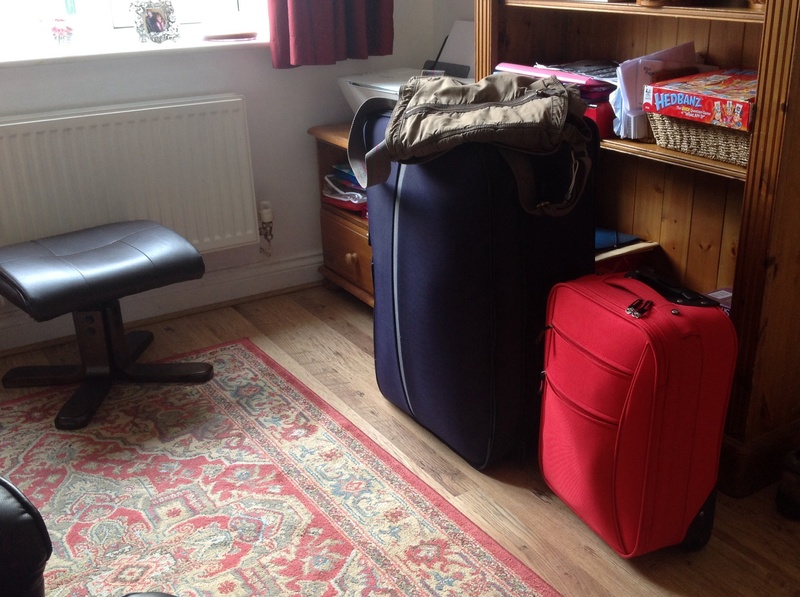 To fit in with the tight schedule, from camping to City Visits, I have squeezed everything possible into one suitcase. In the midst of all the activities that the exchange has to offer, every one of the seven delegates has been asked to create a leader of the day activity/presentation for the other delegates. Tuesday this week I was kept quiet creating a presentation based upon doing what we want with our lives, programs like this for instance. Since, part of the experience is all about building your leadership skills and disabled empowerment. Disabled travel is heavily promoted by the organisation running the trip, Mobility International USA. On Wednesday I was subsequently taking time writing out a questionnaire based on this issue for members of the organisation to answer, along with fellow delegates and the disability rights advocates I will be meeting and listening to. I plan to obtain thoughts about disabled travel to gain a richer understanding of it. This trip cannot all be about giving presentations and obtaining data though, neither is it a holiday. I look forward to meeting up with the fellow delegates and getting to know them; what they are interested in, their thoughts about the trip (the constant life of a journalist). Jokes aside, when I arrive back in a couple of weeks time I am sure I will have plenty of stories to tell (another journalistic quality)! The great thing about the trip is that as soon as I arrive everything comes thick and fast. Monday night I meet my host family whom I shall stay with for five nights which could be one of my best cultural experiences to date. Running over their hamster would not be a good start though with no insurance cover for damage done by my wheelchair (myself), never mind the embarrassment. I am ready for Oregon now, it will be my third time in the US but with the experiences I will gain from socialising with other peers along with the activities I will take part in this trip could top the lot. First time travelling without my family as well, I feel I am at the right age. The next time you will be hearing from me will be some time next week; Sam Waddington – ‘Live from Oregon’.